Let's build a better democracy together. Låt oss bygga en bättre demokrati tillsammans. We have a problem. Our democracy is broken, we distrust politicians, despair at the rise of bureaucracy and we feel ignored. Democracy has become arrogant. It's time to deeply quesiton who representats us, how policy is made, budgets allocated and services delivered. It's time to rebuild democracy to become inviting and inclusive or, as we call it, intimate. We have to start thinking differently about democracy, to start seeing our society as a network. Then democratic action can be based on mutuality, trust and shared experiences. Then we can become intimate and co-creating. We want you to start creating the intention to shift power so it’s used ‘with’ and not ‘against’, for the benefit of all not the privilege of the few. A lot of democratic engagement only seems to reach for the ‘low hanging fruit’; the people you know and are [too] familiar with – the usual suspects – or the exercise can be superficial and really doesn’t dig down to the heart of the problem (what we call living in the fire). 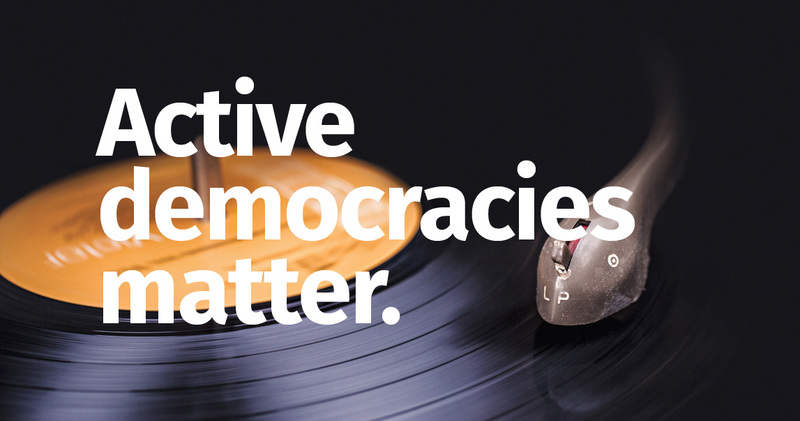 Active democracies are anchored in our communities, embracing diversity and authentic dialogue. Our communities are equal partners, where we privilege a range of advocacy, awareness-building and disruptive practices to create and sustain transformation. Moving from arrogance to intimacy. Our book shows how we can make our democracies ready for everyone by being open, sharing and collaborative. It's about taking democracy on a journey from arrogant and controlling to intimate and co-creating. "Martin and Andy began to think about what's needed to make democracy better and what they could do to ignite this fire. 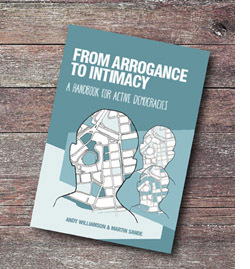 They want to help us to make changes in the kind of democratic systems we have..."
From Arrogance to Intimacy explores the historical problems, then provides a framework for change and the tools to start creating that change where we live. 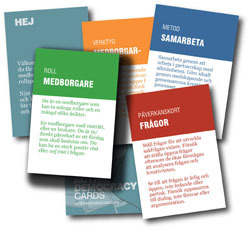 We’ve developed a prototyping game that helps you co-design effective citizen engagement. It’s all done with role-plays and experimentation, in a way that’s designed to promote active listening, active learning and small group discussions. 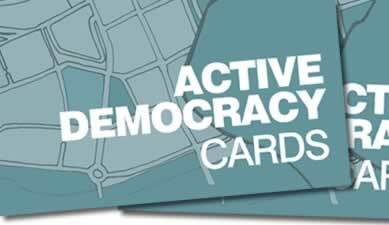 Our Active Democracy Cards get you prototyping and learning. You can immerse yourself deeply in the process of designing good engagement. We get you to do this through a co-designed participatory dialogue in small groups, with or without a facilitator. As the game develops, you can explore opinions, resolve issues and answer questions. Solutions emerge but so can conflicts and the game is as much about how you work through these as a group and then reflect on what happened afterwards. 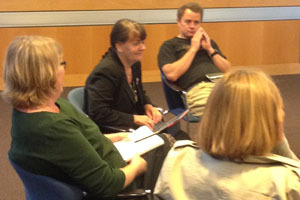 Ask us to talk or run a workshop. 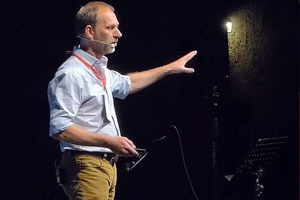 Andy and Martin's skills for inspiration and facilitation are well established through their talks, their leadership of democracy summits in Sweden and facilitating events around the world. They believe that building a better society starts with being open to co-creation, sharing and collaboration in your actions and your intent. Andy and Martin chose to openly collaborate and share their 50 years of experience. You can benefit from their knowledge, invite them to speak at your event or talk to them about facilitation and their active workshops! 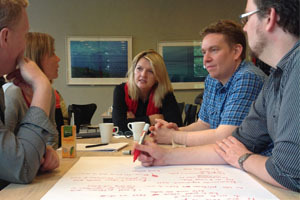 To help you get the best results from co-creation and active learning, Andy and Martin have developed their Active Democracy Workshops. 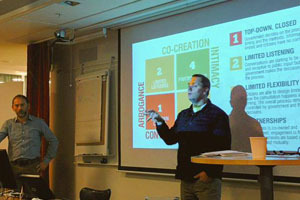 Success comes from combining co-creation, small scale prototyping and active facilitation in one-day (introductory) and three-day (advanced) Active Democracy Workshops. A great opportunity to tune in to their insights and enabling energy where you'll learn in a safe, immersive and collaborative environment! 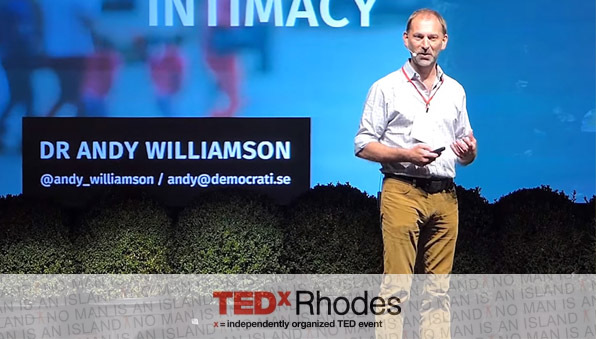 Watch Andy's TEDx talk on active democracy. 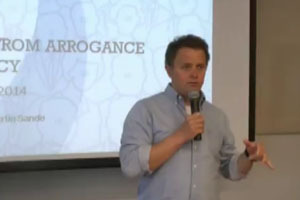 Dr Andy Williamson is the Founder of Democratise. 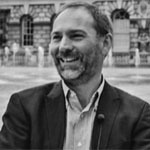 A London-based New Zealander, he works globally to re-imagine leadership, strengthen democracy and transform engagement, working with parliaments, governments and civil society. 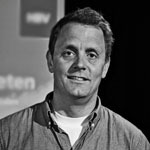 Martin Sande is a creative thinker and facilitator based in Gothenburg, Sweden. 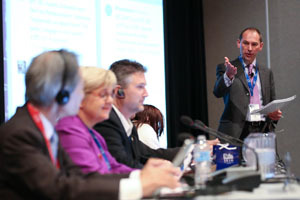 He brings a strong desire to enable new ways of meeting the complex issues facing society and organisations. He does this through Dialogues. If you're passionate about wanting to make democracy work better, want to learn how to make your organisation or community better at engagement, innovation and co-creation then we'd love hear from you.